Albany NY Is Home To Largest Walmart Supercenter In The U.S.
Crossgates Commons in Albany NY is home to a two-story Walmart Supercenter! Did you know the largest Walmart Supercenter in the U.S. opened on May 17, 2008? The two-story Walmart at Crossgates Commons in Albany NY is fully equipped with a supermarket on the first floor, discount department store merchandise on the second floor, and even a special escalator for shopping carts to help you navigate between the two! 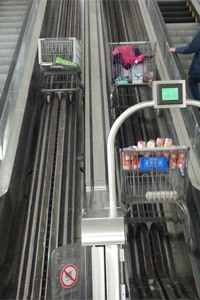 The shopping cart escalator runs alongside the regular escalator, releasing each cart shortly after the shopper steps off. 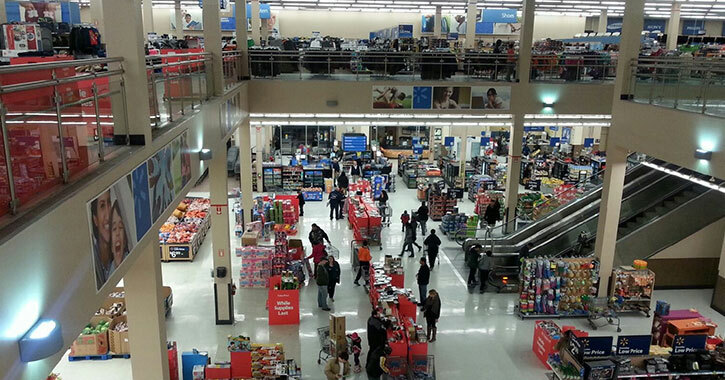 Walmart's 3,500+ Supercenters across the nation typically average 179,000 square feet. The Crossgates Commons Walmart Supercenter is nearly 260,000 square feet. After the closing of Sam's Club in May 2006, the company decided to combine its adjacent Walmart store with the vacant space to create one massive Supercenter. As of February 2019, this Walmart Supercenter remains the largest in the U.S.! Looking to do even more shopping while you're in the area? Crossgates Commons is just a short drive from Crossgates Mall and Stuyvesant Plaza, both of which are home to a huge variety of stores.